Flare Boom - Himech Equipments pvt. ltd. 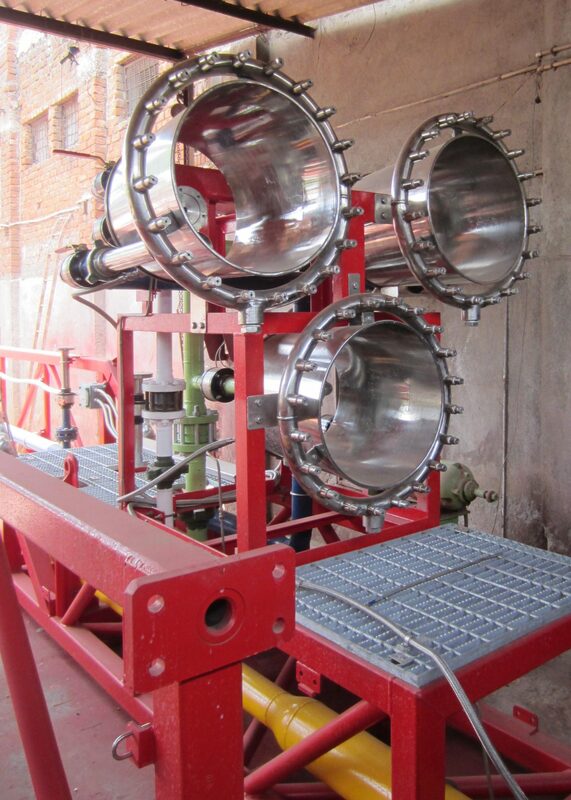 The HIMECH Burner Boom is employed during an offshore well test operation to efficiently combust oil products at surface to avoid the oil storage and minimizing pollution problems. The Boom allows produced hydrocarbons to be flared safely, moving the radiated heat away from the installation enhancing the environmental and personnel safety. With an experience over three decades HIMECH has designed, developed and delivered more than 80 Burner booms to its National and International Clientele. 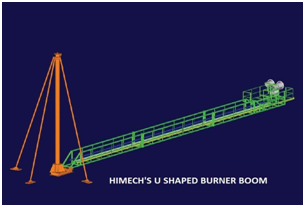 HIMECH’S USP lies in the design customization of the Burner Booms according to the exact specification, requirement and application of the client ensuring better service to our clients. Burner Booms are typically 60ft with two sections or 90ft with 3 sections. At HIMECH we can also customize the design to manufacture longer Burner Booms based on the client’s specific requirement. HIMECH’s self supported cantilever boom is ideal for semi-submersible rigs. 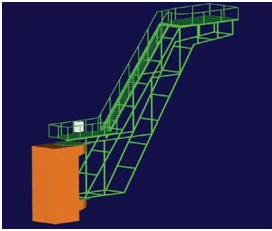 The boom is designed to adapt to fit to any existing hull structure fitted on to the platform foundation. The boom can be fixed or hinged on to the hull structure. With its pedestal, the Goose Neck boom safely relocates the flame from the vessel’s deck and away from sea surface. The boom is installed on a purpose- built fixed pedestal.